The brilliant new novel from the international bestselling author of Home and Fool Me Once. Mistaken identities, dark family secrets and mysterious conspiracies lie at the heart of this gripping new thriller. Fifteen years ago in small-town New Jersey, a teenage boy and girl were found dead. Most people concluded it was a tragic suicide pact. The dead boy's brother, Nap Dumas, did not. Now Nap is a cop but he's a cop who plays by his own rules, and who has never made peace with his past. 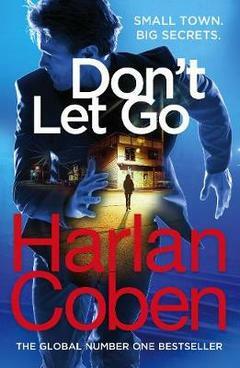 Harlan Coben was the first ever author to win all three major crime awards in the US. He is now a global bestseller with his mix of powerful stand-alone thrillers and Myron Bolitar crime novels. He has appeared in the bestseller lists of The Times, the New York Times, Le Monde, Wall Street Journal and the Los Angeles Times. He currently lives in New Jersey with his wife and four children.